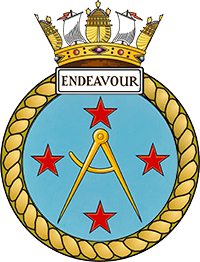 3rd CB’s Endeavour Explorer Sea Scouts provide a flexible and active Scouting programme for 14 to 18 year olds, with an emphasis on personal challenge and adventure, which includes climbing, sailing, walking, cooking and of course camping to name but a few. Explorer Scouts are able to attain the Queen’s Scout Award, which is the highest Scouting Award in The Scout Association as well as following the Duke of Edinburgh’s award scheme. There are a number of activity and skill badges which can be gained in a variety of disciplines from horse-riding to first aid, and the programme is chosen by the young people in the Unit so we know you will enjoy it. Other activities include the option to attend international jamborees where you can meet others from around the World, experiencing new cultures, and sail tall ships with the Rona Sailing Project. The only limits are those of your own imagination. A number of the Explorers qualify as RYA Sailing Instructors and assist with teaching sailing and other water activities at The Den. Explorers meet on Thursday evenings from 1930 to 2130. Should you wish to join us for fun and adventure, making new friends without any peer pressure, come and join us. Contact Matt at The Den on Thursday evenings for more information.